It’s hot, it’s back breaking and it’s exhausting so why do thousands of people rush to help at the Vendange every year? It may be part of a long standing French tradition but there is something very special about harvesting grapes that brings people together. Perhaps it’s the romance associated with the history of “les vins”. The soil and the vines, the camaraderie, both during the arduous day and the glasses of wine and a meal at night, the sense of working and, often, sleeping together to achieve a single goal. Starting with rich, full vines and bringing them in as part of a team over a fairly short period is more than satisfying, it is an incredible achievement. What’s more, it’s one that is greatly appreciated, not just by the winemaker but by everyone who buys that wine in the future. The local mayor presses the green button for the Vendange to begin around one hundred days after the first flower has blossomed on the vines. Exactly when depends on the instincts of the wine-growers, how the weather has been and how the grapes are looking and tasting. This is a complicated task involving an assessment of the amount of sugar and acidity in the grape as well as the colour of the skin and pips, the taste of the grape and the level of tannin. Generally speaking, cold winters allow the vine to hibernate and maintain its strength ready for the following year. A long, warm summer with some rain will allow the fruit to ripen slowly and evenly and, if followed by a dry autumn, will make ideal harvesting conditions. Rain before harvest can throw the balance between sugar and acidity right off and too much rain could lead to mildew and rotting vines. Depending on the lay of the land and the type of grape, harvesting is done by hand or machine. On steep slopes, for the smaller vineyards and for the most discerning winemaker, hand picking is the preferred method. For wines such as Monbazillac, the Muscadelle and Sauvignon grapes have to be hand selected to ensure that only those grapes affected by the Botrytis Cinerea fungus, the so called “noble rot”, are harvested. Going back to its discovery by Benedictine monks in a priory in Bergerac in 1080, noble rot lies at the heart of all great sweet whites. Without going into too much detail, the rot ensures a more intense, more concentrated grape by removing water and leaving a higher percentage of sugars, fruit acids and minerals behind. For red grapes this decision is often made depending on their colour. The richer and darker the grape, the riper it is. 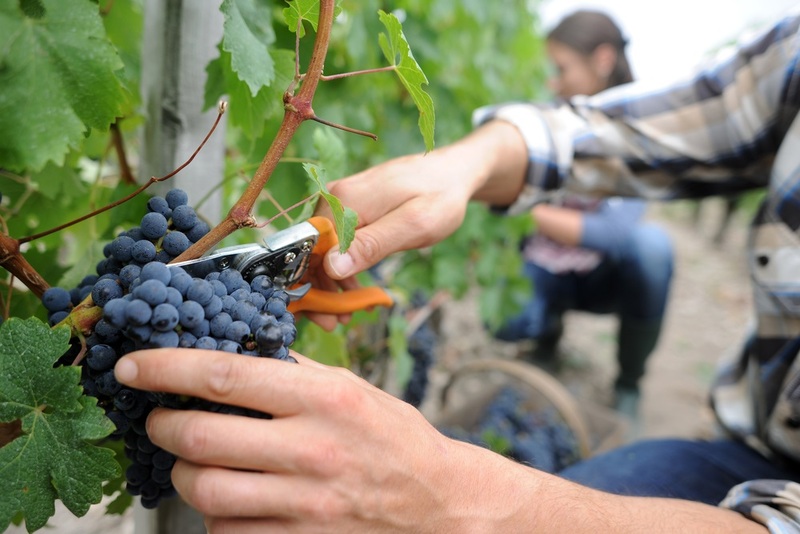 Hand, rather than machine picking, means that only the best grapes are cut and pickers often go through the same vineyard several times, making sure that the grapes are ripened to perfection. The fruits also tend to be less damaged than when machines are used and less picking through for rotten or dried out grapes is needed once the grapes reach the co-op or winery. 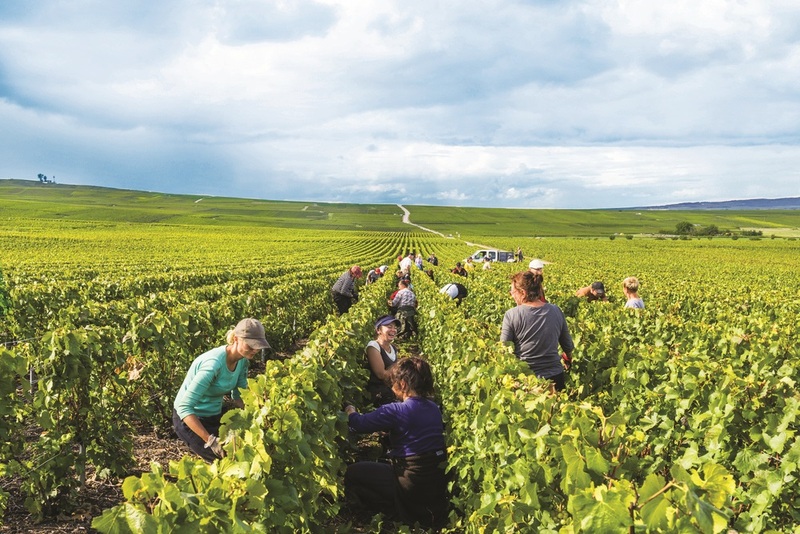 There are a number of different tasks to be accomplished in the vendange and everyone works as a team, adding to the excitement of the task in hand. With secateurs at the ready and a box at their feet, the coupeurs set about selecting grapes and cutting them. “Porteurs” pass by and the boxes are emptied into a large sack on their backs, capable of holding many kilos, a simple but physically tiring task requiring strength and endurance. To put this into perspective, it will usually take 600-800 grapes or around 10 bunches, to make a single bottle of wine so you can imagine how many are being picked and transported. 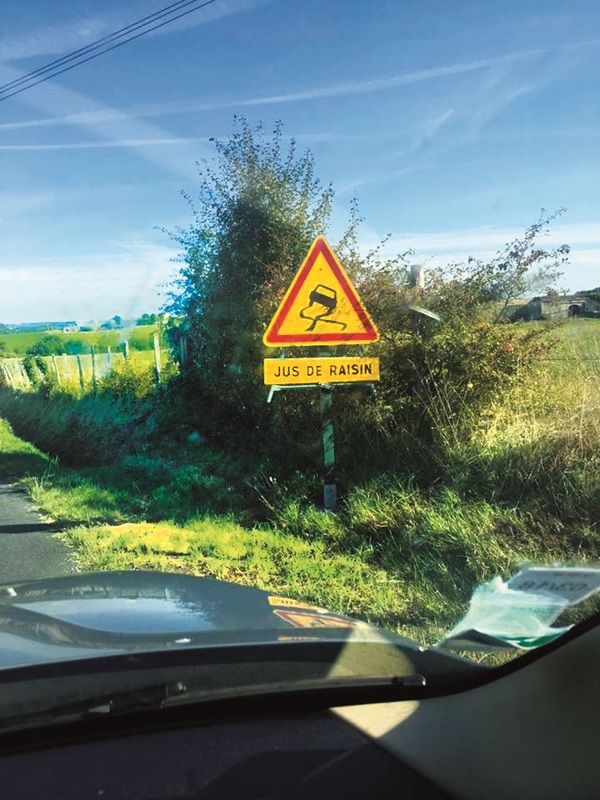 From there the grapes are tipped into lorries and taken to their next destination for processing and, at this stage, it is not unusual to see road signs warning of the perils of slippery grape juice! For anyone interested in joining a vendange team, just visit your local vineyard but, whatever you do, please drink responsibly, you don’t want to be picking early in the morning with a hangover, or having to drive! 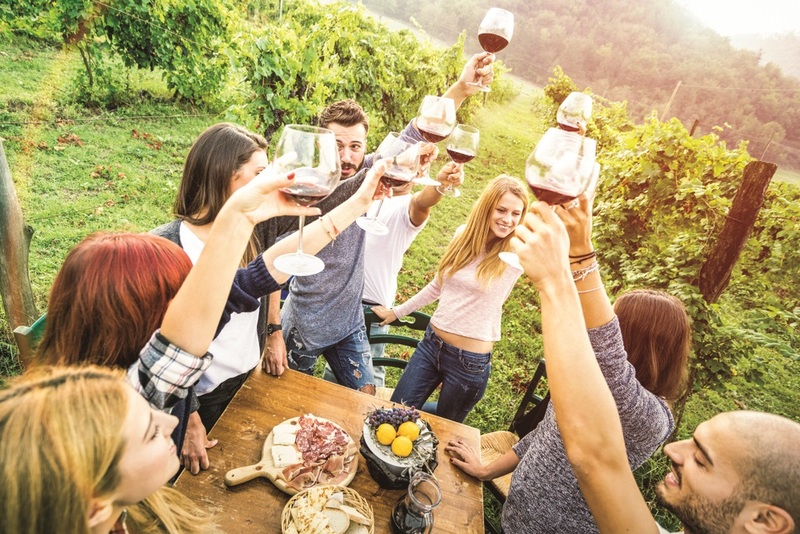 You will find a comprehensive list of vineyards, wine tours and tastings throughout Gironde, Dordogne, Lot et Garonne, Lot, Gers, Tarn et Garonne and north Haute Garonne in our business directory pages under Food and Drink.